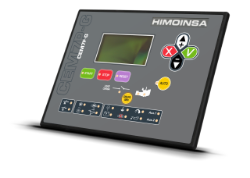 With over two decades of experience designing and manufacturing advanced control systems for generator sets, HIMOINSA offers a complete range of panels and controllers for diesel and gas generators. 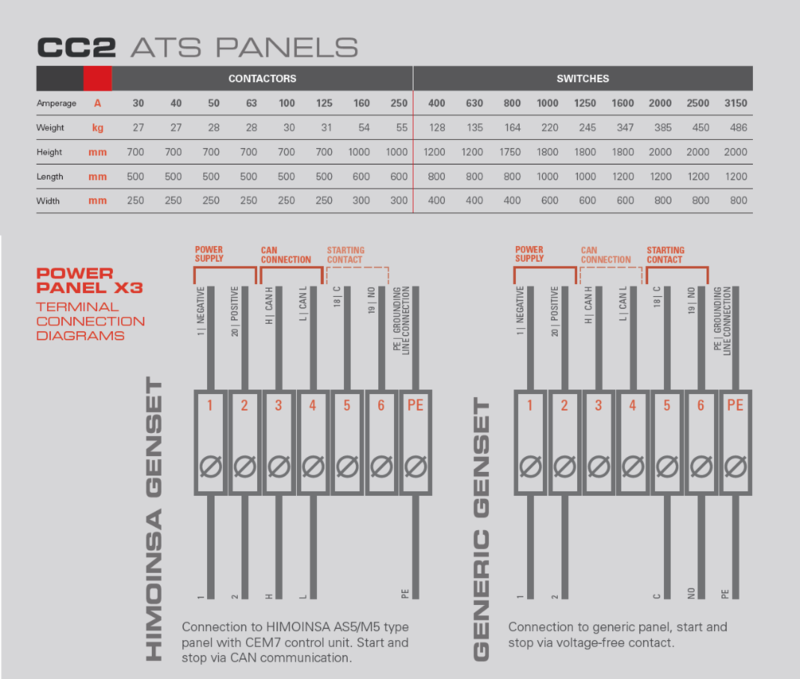 HIMOINSA manufactures automatic transfer switch panels (ATS) which transfer power between the mains and the generator set. A piece designed with a comprehensive electrical mechanism that allows a rapid response to the demand for power on the stand-by market. 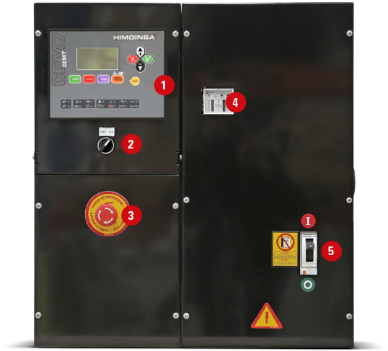 HIMOINSA automatic transfer switch panels have a manual emergency stop and have been manufactured in compliance with required quality standards. 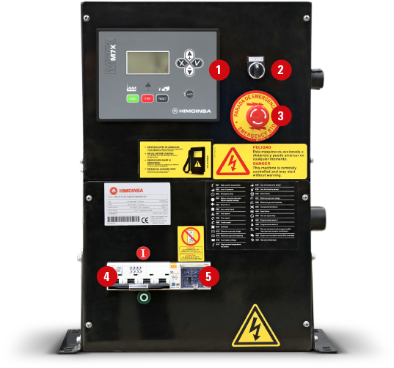 With an amperage range of 30 to 3150 A, the HIMOINSA ATS has an IP55 protection rating which guarantees sealing and insulation levels. 4-pole contactors. CEC7 controller. Power failure detection. Emergency stop. Voltage measurement. Motorised switch. CEC7 controller. Power failure detection. Emergency stop. Voltage measurement. Motorised 4-pole switch. CEC7 controller. Power failure detection. Emergency stop. Voltage measurement. Motorised 4-pole switch. CEC7 controller. Power failure detection.Emergency stop. Voltage measurement. For communications of over 100 metres a supplemental power supply is necessary. Maximum distance 1000m. 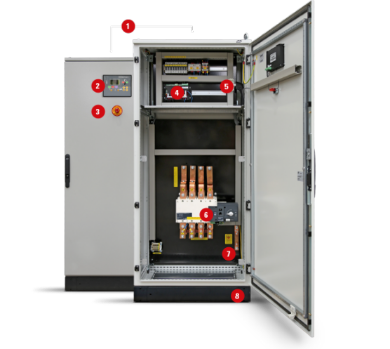 The power supply is equipped with an auxiliary battery that maintains the power supply in both modules, from the time when a power failure occurs until the generator sets start. 4-pole contactors. CEA7 controller. Detection of mains failure and genset control. Emergency stop. Current and voltage measurement. Motorised switch. CEA7 controller. Detection of mains failure and genset control. Emergency stop. Current and voltage measurement. Motorised 4-pole switch. 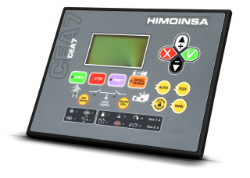 CEA7 controller. Detection of mains failure and genset control. Emergency stop. Current and voltage measurement. compact hose, resistant to impacts and hydrocarbons. Transmits information from the engine and the alternator to the control unit. The length of the standard hose supplied by HIMOINSA is 6 metres and is optionally available up to 19 metres. Robust and secure device used in our ATS with AC5 configuration. 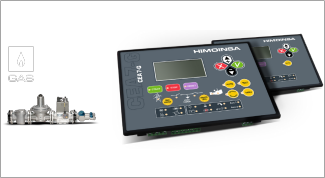 HIMOINSA offers controllers for diesel generators, as well as other controllers especially for gas generator sets. The main purpose of this differentiation is to guarantee the utmost safety when running your equipment. Gas control units incorporate gas train management, control all safety systems and include an alarm to signal insufficient fuel pressure. In addition, during start-up the control units also carry out a safety check of the gas train, checking the tightness of the solenoid valve and indicating this by means of a light signal. The CEM7 and CEM7G control units monitor the operation of the engine and the quality of the electrical signal it generates. They have a 4-line graphic display with language selection to show the status of the generator set. They have a communication bus to incorporate external devices that extend the functionality of the control unit. In addition, they allow you to connect electronic engines to a J1939 bus (optional). 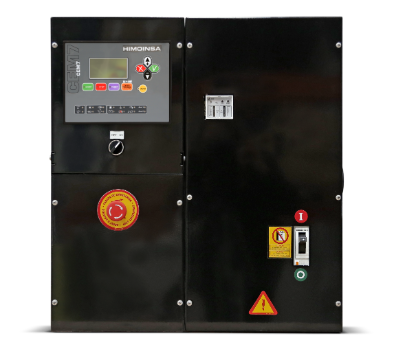 Automatic transfer switch between grid and genset. The CEC7 control unit monitors the quality of the grid signal and can order an external generator set to start up and to then handle its close-down once the grid supply has been reinstated. 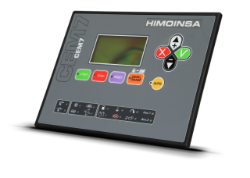 It is possible to integrate the management of the genset by using the CEM7 (or CEM7G) control unit which allows you to view the status of the generator set (measurements, alarms, etc.) from the controller's interface. If you use any other control unit model in the generator set, the generator set start-up is ordered by free voltage contact. It has a 4-line graphic display with language selection to show the status of the generator set. Control of the generator set and automatic transfer switch between the grid and the genset. 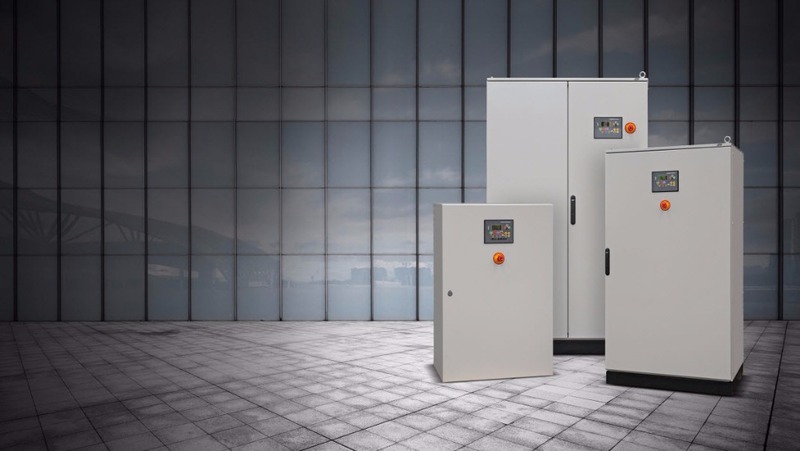 The CEA7 and CEA7G control units order the start-up of the generator set in the event that the grid signal is outside the programmed operational range and they handle its close-down once the grid supply has been reinstated. They have a 4-line graphic display with language selection to show the status of the generator set. They have a communication bus to incorporate external devices that extend the functionality of the control unit. In addition, they allow you to connect electronic engines to a J1939 bus (optional). Generator set or motor pump control. 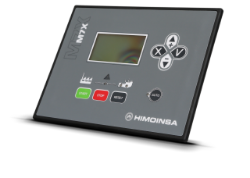 The M7X control unit supervises the running of the engine and the quality of the electric signal that is generated. 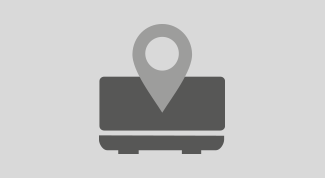 It has a graphical display that makes it possible to display the information through icons. It allows you to connect electronic engines to a J1939 bus (optional). 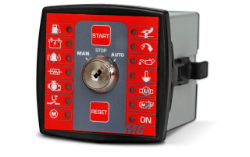 Control panel and protection with a three-position key and an auto-start function (possibility of starting the engine manually or automatically by using free voltage contact). 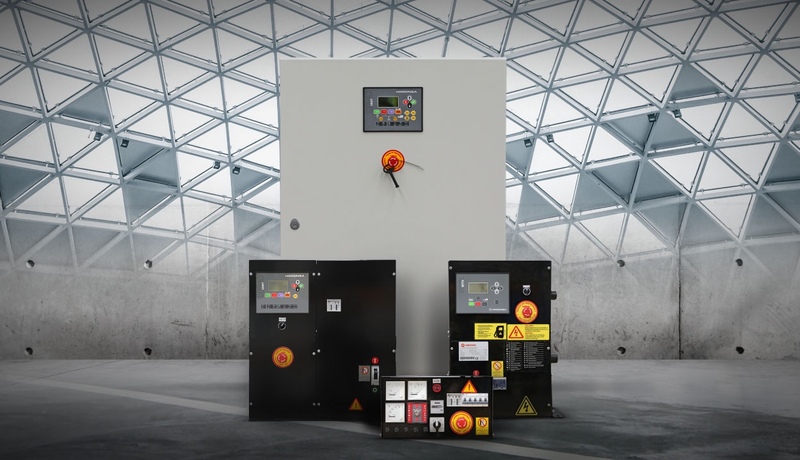 Control and synchronisation of (gas-powered) generator sets. 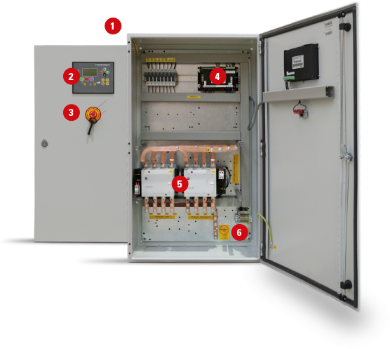 The CEM7PG control unit has been designed for parallel applications to enable load management between gas-powered generator sets.